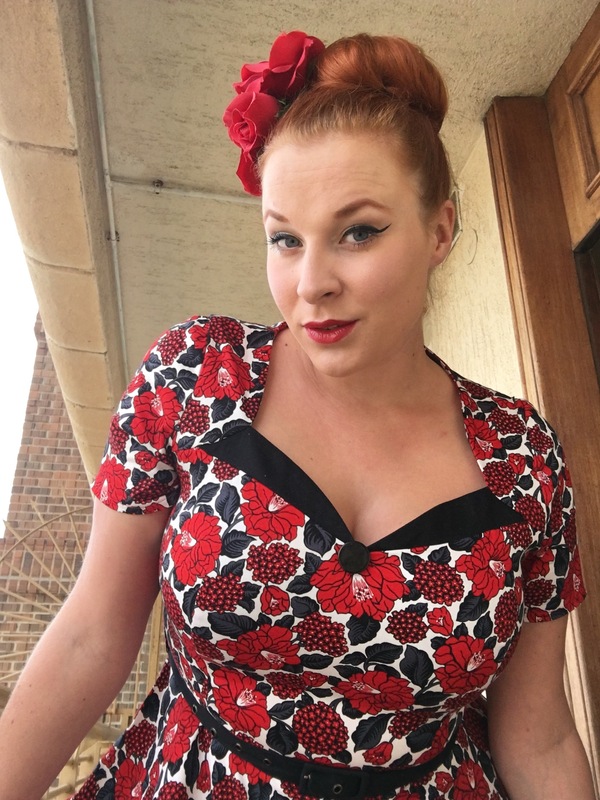 If there is any brand that is super supportive of bloggers it is Voodoo Vixen. In the past I have reviewed quite some items and even got invited to be a VIP at London Edge. (click to read all about this) Today I will review an amazing dress from their new AW16 collection. 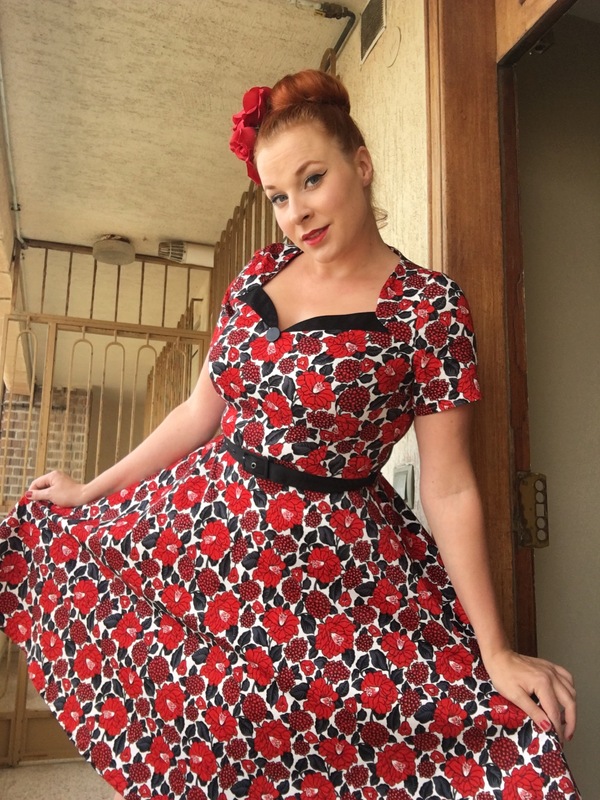 The poppy dress is a typical Miss Ginger dress, since I am a sucker for floral dresses, especially in these tones, red, grey, white and black. The print has some beautiful red lilacs and wild roses paired with black and grey leaves. The white background really makes the print pop! 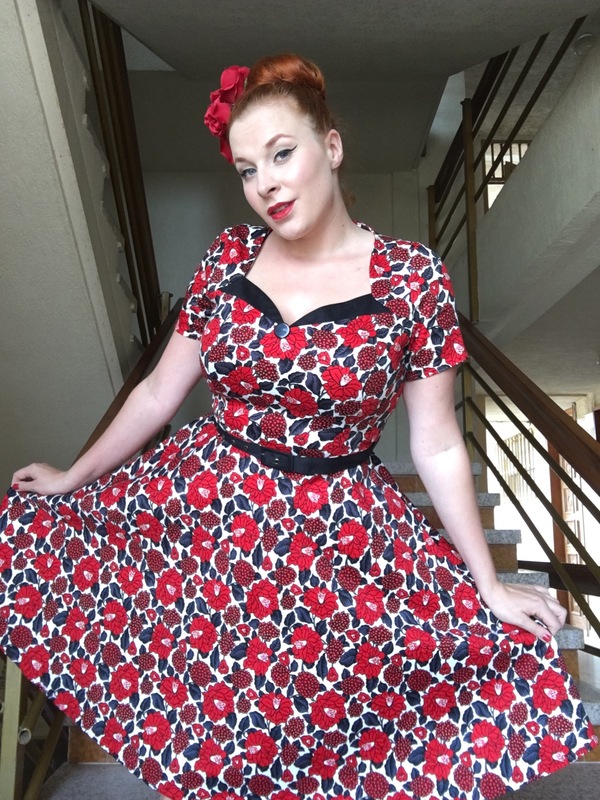 As with every Voodoo Vixen dress I own, the fabric is great quality. It has a lovely stretch, is comfortable and soft. The black details on the bustline, the fake collar and button give a great shape to the neckline. 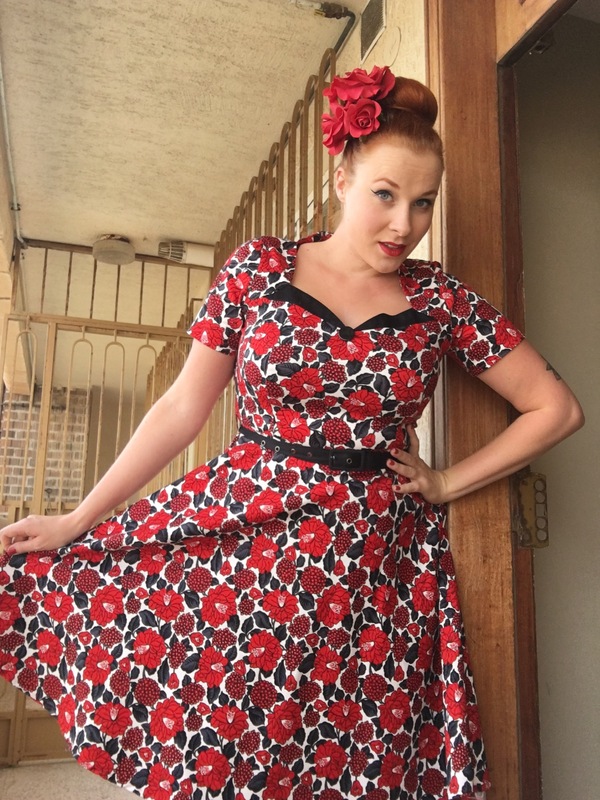 The poppy dress is paired with a fabric black belt to accentuate your waist. I have paired my dress with a triple rose hairpiece that I made myself.